In a surprising turn of events, climate change doomsayers have turned their attention to cattle, as environmentalists have been compelled to acknowledge that “livestock emissions” are more dangerous for the environment than automobiles. A recent article at EcoWatch says that greenhouse gas emissions from livestock actually account for a higher percentage of total global emissions than the world’s 1.2 billion automobiles. Whereas the transportation sector accounts for only some 14 percent of global emissions, cows produce a remarkable 14.5 to 18 percent of the global total, the article confesses. These uncomfortable statistics — touted by the eco-lobby itself — would seem to be good news to right-thinking people. After all, when normal biological functions of mammalian quadrupeds put out more greenhouse gases than the entire transportation sector, there is reason to suppose that man is not the enemy of the environment that many have supposed. Yet by a clever feat of mental legerdemain, environmentalists have drawn the unlikely conclusion that it is time to reduce the number of cows in the world, and obviously, western consumption of meat. So now vegans, vegetarians, and animal rights activists can join hands with climate change agitators to insist that meat-eating is no longer an ecologically acceptable human activity. Although it has taken climate change activists years to admit it, the bovine contribution to gas emissions has been a well-established fact for years. A 2012 United Nations report asserted that the earth’s cattle population actually produces more CO2 than automobiles, planes, and all other forms of transport combined. Moreover, the cow pies they drop and the wind they break produce a third of the world’s twenty-times-more-detrimental methane emissions. As such, it may be no more arbitrary to outlaw McDonald’s to solve the alleged crisis than to regulate the use of fossil fuels. Besides, either way, Texas gets it (which is really the point). 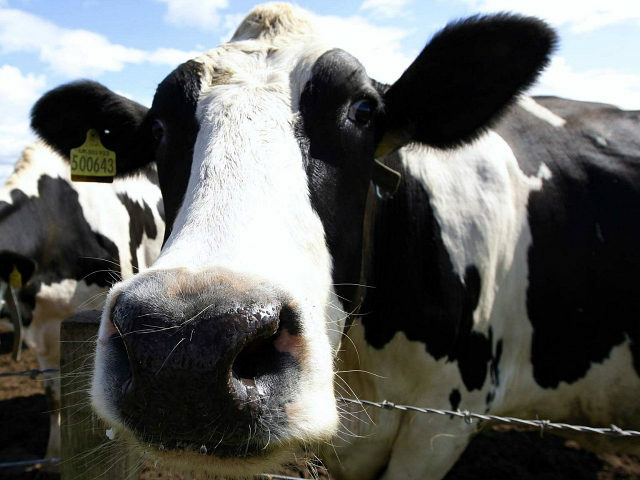 Trying to keep a literary straight face, EcoWatch writer Jordyn Cormier suggests that in the absence of total vegetarianism, buying grass-fed beef reduces entropic emissions in cows simply because their stomachs are designed to digest grass, not grains, meaning that “methane gas flatulence” is minimized. The irony of all this is that eco-friendly Amish farmers in Pennsylvania may well be producing more greenhouse gases than SUV-driving soccer moms in Iowa.